Amritsar is a city in the northwestern Indian state of Punjab, 28 kilometers from the border with Pakistan. At the center of its walled old town, the gilded Golden Temple (Harmandir Sahib) is the holiest gurdwara (religious complex) of the Sikh religion. It&apos;s at the end of a causeway, surrounded by the sacred Amrit Sarovar tank (lake), where pilgrims bathe. Dharamshala is a city in the Indian state of Himachal Pradesh. Surrounded by cedar forests on the edge of the Himalayas, this hillside city is home to the Dalai Lama and the Tibetan government-in-exile. The Thekchen Choling Temple Complex is a spiritual center for Tibetan Buddhism, while the Library of Tibetan Works and Archives houses thousands of precious manuscripts. Dalhousie is a hill station in Chamba district, in the northern state of Himachal Pradesh, India. It is situated on 5 hills and has an elevation of 1,970 metres above sea level. Vaishnodevi better known as Mata Rani, Trikuta and Vaishnavi is a manifestation of Godess Mahalaxmi. 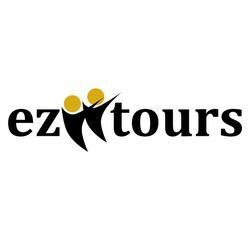 Come with EziiTours and get blessed from Mata Vaishnodevi on this short spiritual journey. Maa Vaishnodevi, manifestation of Godess Mahalaxmi is located at an height of 5300 feet and is one of the oldest shrines. Morning after breakfast explore the city of Amritsar. Visit Harmandir Sahib Temple, informally referred as Golden Temple", Akal Takht, Durgaiana Temple also called as Laxmi Narayan Temple, Summer Palace. Visit Wagah Boarder, to witness &apos;lowering of the flags&apos; ceremony. Welcome to Dharamshala, formerly known as Bhagsu one of the spiritual dwelling in Himachal Pradesh. On arrival visit Bhagsunag Temple and Dalai Lama Monastery. Later we visit the Dal lake - known for its scenic beauty. Enjoy shopping at Macleodganj Bazaar. Morning after breakfast explore the city of Dharamshala. Visit Tapovan and Jwalaji Temple. Later visit Khajjiar popularly known as "Mini Switzerland" of India , where you can also enjoy various sports activities like Zorbing etc at your own. Welcome to Katra, the base point of Vaishnodevi. Later proceed to Vaishnodevi Temple, a total trek of 28 km. To Day arrive from Vaishnodevi. Day free for relaxation or leisure activities. Morning after breakfast proceed to Railway station / Airport. Thane: 7, Basement, Chandralok Building Veer Savarkar Road, Tembhi Naka Thane (W) 400 601. Fort: 146 Mahendra Chambers, Magazine Market, Near New Empire Cinema, D N Road, CST Mumbai - 400 001.